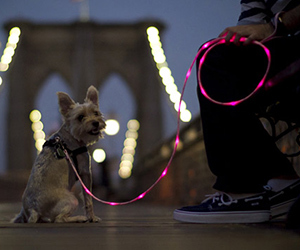 The Pup Crawl Dog Leash is a 6 foot long LED lead that lights up at night to help keep you and your friend safe. Visible from up to a 1/4 mile away. 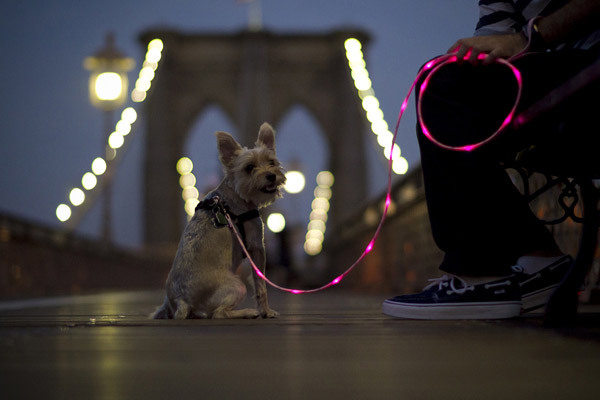 $3 from each leash go’s to animal shelter & rescue organisations. The SonUmbra captures sunlight using a canopy of photovoltaic panels. When the sun sets the tree comes to life. 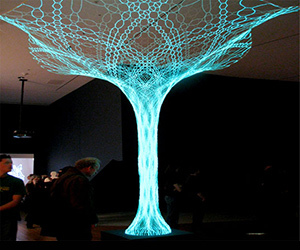 It’s made using electroluminescent fibres which respond to movement by creating patterns. Cold hands when making calls? 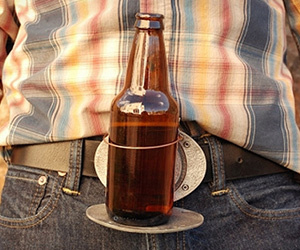 The hi-Call glove is an ingenious solution. 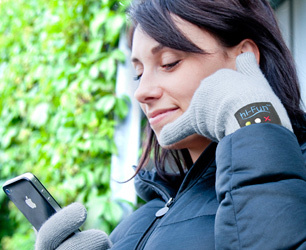 The glove allows you to talk to your fingers, using the built-in mic & speaker. 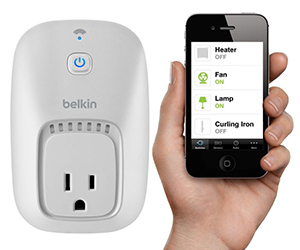 Links to your smartphone via Bluetooth, touchscreen control. 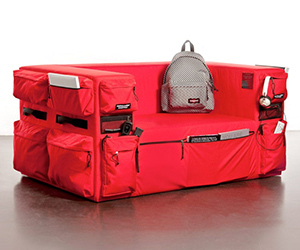 If your into adventures furniture you might want to take a look at the Eastpak Sofa. 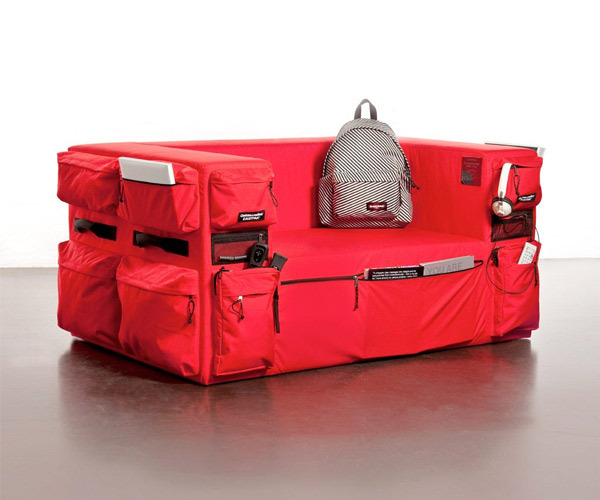 First introduced at the 2010 Salonedel Mobile in Milan, designed by Eastpak in collaboration of Quinze & Milan. 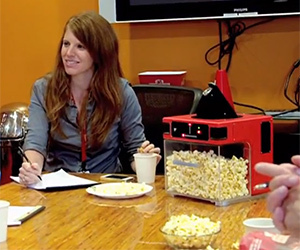 The guys at Popcorn, Indiana have been working on an internal project. The Popinator listens for the word ‘POP’, then calculates where you are in the room and shoots a piece of popcorn in your direction, awesome. 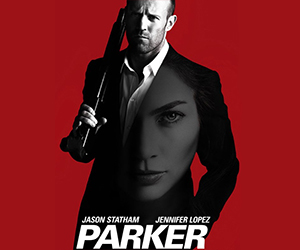 Parker (Jason Stratham) is a big time thief who lives by a professional code of ethics; don’t steel from people who can’t afford it and don’t hurt people unless they deserve it. He partners up with Jennifer Lopez. 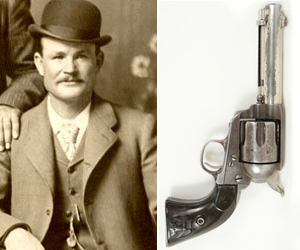 In 1899 Butch Cassidy surrendered his Colt .45, by handing it over to a sheriff in Utah in an attempt to obtain amnesty. The request was denied and he returned to crime. 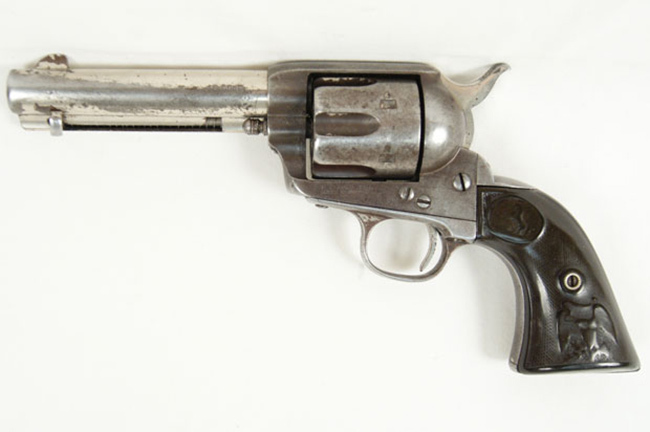 It fetched $175,000 at auction. This art installation, entitled ‘Don’t Miss a Sec’ was created by Monica Bonvicini. 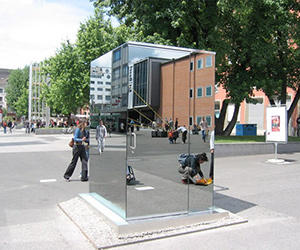 It’s a public toilet made entirely from one-way mirrors, allowing the occupant to watch the world go by. Would you be able to go? 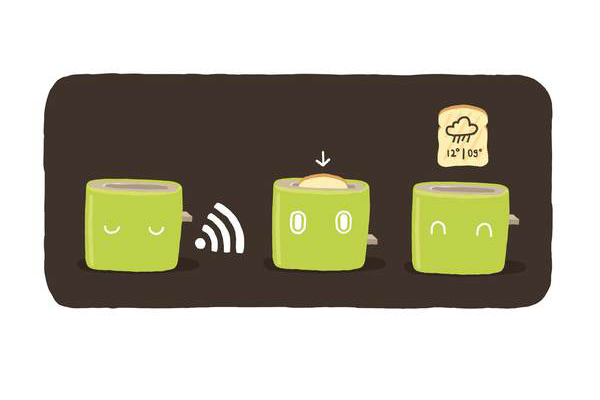 The Jamy is a conceptual toaster designed by Nathan Brunstein. 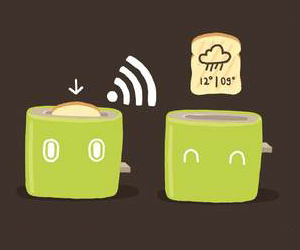 It grabs the current day’s weather info via Wi-Fi, it then magically burns the forecast for the day into your bread, along with high and low temperatures. 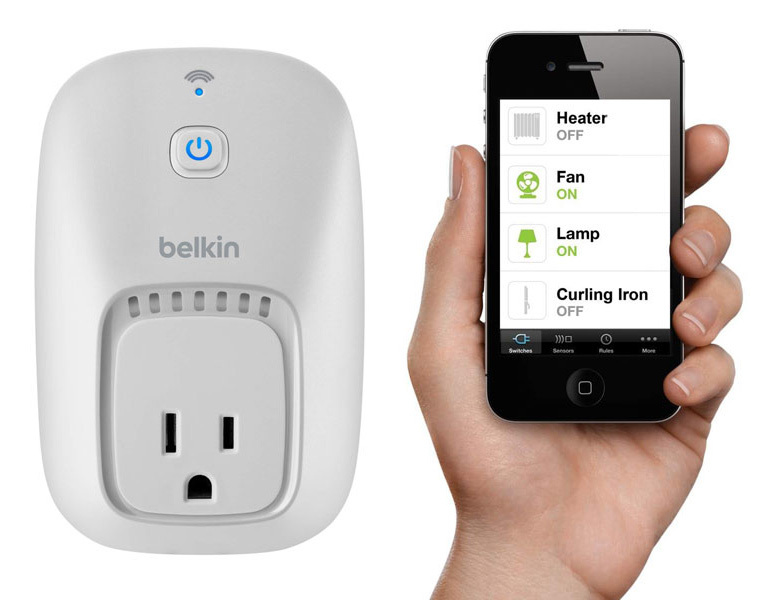 The WeMo switch from Belkin gives you the ability to remotely turn on and off anything that plugs-in. You can schedual lights or the TV to come on, wherever you are. 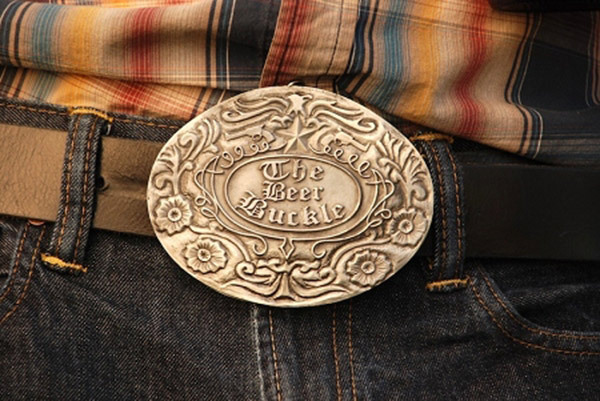 Works with your iPhone, iPad, or iPod Touch. 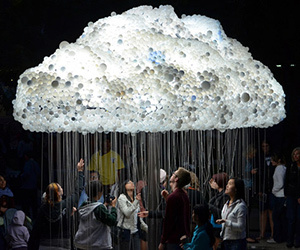 This interactive CLOUD installation by artist Caitlind r.c. Brown, comprises of 1,000 working light bulbs & 5,000 burnt-out bulbs. Produced for the Nuit Blanche Calgary art festival in Alberta, Canada.